I learned Thursday that my favorite teacher from high school died recently. A friend from back then messaged me on Facebook, but he didn’t share any details about what happened or what our former teacher’s life had been like since we last saw him in 1980. I found an online obituary in The Denver Post. Esophageal cancer, diagnosed a year ago, killed Pete Mindock on Oct. 14. He was 64 and left a wife and two adult children. His memorial service will be Friday in Denver. Pete Mindock changed my life. He was the journalism instructor at Gateway High School in Aurora, Colo., a suburb of Denver, in the late ‘70s when I was a teen-ager. 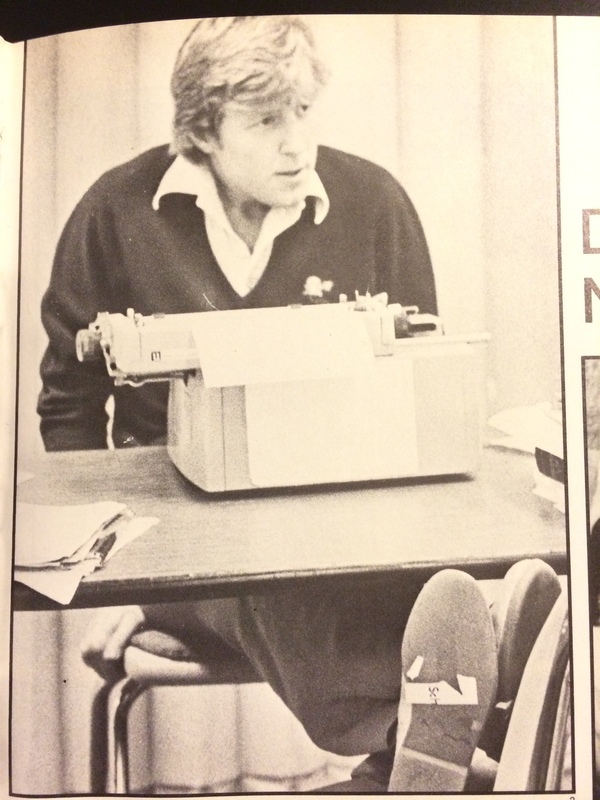 He was also a real-live sportswriter at The Denver Post. And he might’ve been the first adult who ever told me, and showed me, that I was good at something. He led the kids in producing an award-winning school newspaper. When I joined the staff as a sophomore, the editor was a senior who grew up to become a Washington Post and Time magazine reporter. I met my best friend there, and he went on to lead digital communications at PBS. It was with them all that I started to form my identity as a reporter and writer. I remember Mindock as what they used to call a “man’s man,” naturally masculine and not sentimental, but playful and a tad vain. When you earned a compliment, it meant something. When you let him down, that did, too. He called me “Jaybird” sometimes. We called him “Smindo,” his log-on at The Post, until he made us cut it out. Mindock taught me to value the precision of language, the responsibility of the media and what my role in the world could be as a storyteller. He hated clichés. So I shouldn’t say that he and the Medallion gang opened a whole world to me. But they did. They gave me an idea of what I wanted to be and how to become it. Mindock left the school the summer before my senior year. I don’t think I ever saw him again. His obit informed me he had become a successful financial adviser for more than three decades, a lifetime beyond teaching and reporting. I hope this is not a sentimental piece. But I sobbed in my office when I heard Pete Mindock had died. This entry was posted in Social Media, Uncategorized and tagged Aurora, Denver, high school, journalism, newspapers, teacher on November 6, 2014 by Jay Croft. RELATED: Read how other former newspaper folks are reinventing themselves. Maria Elena Fernandez and I became fast friends at The Atlanta Journal-Constitution in the mid-‘90s when we were both Metro reporters. She was on the police beat and I had the courts. She’d cover a murder and its investigation, and then I’d get the trial. It was a fun tag-team. Fast-forward through the next decade or so, and Maria ended up in Los Angeles, spending a dozen years covering TV for The LA Times. That switch from the streets to the studios was followed by another, from print to digital. Maria joined The Daily Beast and then NBCNews.com. She lives in Venice with her fabulous husband and their two dogs. The last time I visited, she was prepping for the next day’s Emmy Awards. A far cry from, say, interviewing suspects, victims and cops here in Atlanta. We covered crime together in Atlanta and then you took on showbiz in Hollywood. Which is scarier? Good question! There’s probably nothing more nerve-wracking and challenging than knocking on the door of someone who just experienced a personal tragedy. You talk to parents whose missing child has been found dead, and anything can happen in terms of how they respond to you. It takes a special kind of strength and heart. It’s a very different perception of what a journalistic relationship is and entails. It’s a different kind of scary, in other words. 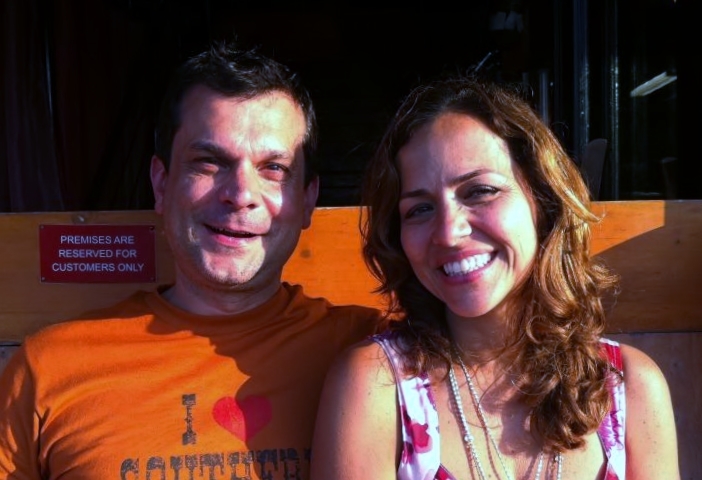 Con mi amiga, Maria Elena Fernandez, on Venice Beach a couple of years ago. I like them both because they bring out different sides of my personality. I love news, I love to cover things that matter, and when I was covering crime, I very rarely felt I was writing something trivial. I enjoy covering entertainment the most when I’m writing about something in the zeitgeist. People take their pop culture interests seriously and it’s always really fun when you have the inside scoop on people’s favorite movies, TV shows, actors. I never get tired of talking to the writers and producers behind shows and movies. They are the real geniuses to me. I love the way their minds work. But the way Hollywood operates can be really draining. On those days I miss running around communities and talking to people who don’t necessarily want to be famous. Now, put it all together, like when life handed me the “Desperate Housewives” trial (when Nicollette Sheridan sued over losing her role) and I am in heaven. Big show, big stars, big drama unfolding in a courtroom. It was a rare, open, behind-the-scenes look at Hollywood. I always tell people who love stories: Hang out in a courtroom. That’s for sure! People always ask me if I miss the old newspaper days. I don’t. Do you? I miss the time I used to be able to spend reporting a story. It literally feels like a luxury to think back now to the days when a crime happened late at night, and I’d spend the next 12 hours figuring it out before I wrote a word. In today’s Digital Age, that’s a lifetime. Now you confirm something’s happened and a few sentences are up on a site in a flash. Where did you get your passion for telling stories? My grandmother was my best friend when I was a kid. We went on long walks every afternoon and she’d tell me all kinds of stories about her life in Cuba. When I couldn’t sleep at night, she’d tell me more. She never even finished elementary school, but she was gifted. She made me love words, the way they sound together. She was hilarious. Her favorite words were all curse words! My father, too, played a big part. He taught himself English reading the newspaper and made me fall in love with newspapers at an early age. He always used to tell me if you want to write, you must read. He was so right. As a reader, do you like print or digital? I still love to hold a book in my hands, but I can’t remember when the last time I actually touched a newspaper. And I can’t live without with my iPad. A little Hollywood dish, please? Who are the most gorgeous stars you’ve met? 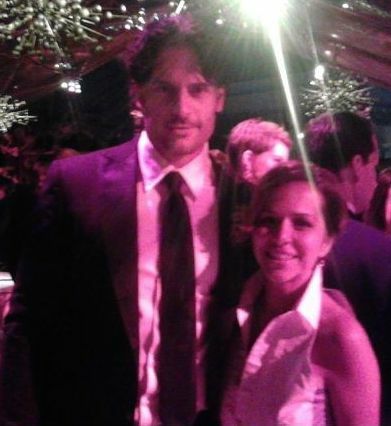 I was so jealous when you met Alcide from “True Blood.” The smartest? Funniest? A behind-the-scenes moment, something like that? There have been some grand moments, like riding horses with William Shatner. As a big fan of “24,” meeting Kiefer Sutherland and watching him go from aggro Jack Bauer to soft-spoken and grateful off-camera is a pretty cool way to spend a workday. Also: spending the day at James Spader’s favorite sculpture garden or getting make-up tips from the stunning RuPaul. Come on! When a short interview over coffee turns into a three-hour lunch just because you’re having a blast with a very funny person like Sofia Vergara, the job is a joy. Antonio Banderas re-enacted a scene from “Puss in Boots” for me during an interview, and my heart was won! Lunch with the entire cast of “Big Bang Theory” was also really memorable. It was early in the run of the show–before it was the big hit it was today. It’s great when you meet people under those circumstances and later see that success doesn’t change who they are essentially. That is rare. 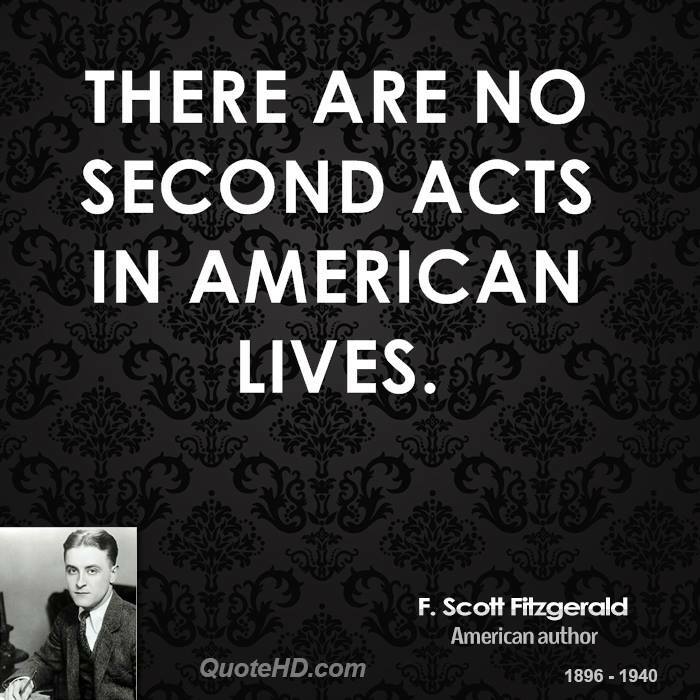 Chris Colfer, America Ferrera are people I’d count in that short list, too. And, of course, the almighty Bryan Cranston and Aaron Paul. And I would be crazy not to include one of the best days ever: a one-hour interview with Larry Hagman, Patrick Duffy and Linda Gray about a year before Hagman died. That one was for the ages. We have so much film and TV production here in Atlanta. Any chance you’ll come back and cover something going on here? Oh yeah! I would love to. Atlanta is home to the biggest show on TV. I need to get over there and interview some zombies! Follow Maria Elena Fernandez on Twitter @writerchica and me at @JayCroft. This entry was posted in Atlanta, Business Comms, Entertainment, Social Media and tagged AJC, atlanta, Atlanta Journal-Constitution, Hollywood, Maria Elena Fernandez, news media, newspapers on August 14, 2014 by Jay Croft. “She wants to educate people about how to host dinner parties, make nice invitations, entertain properly in the home – that kind of thing,” the assistant said. 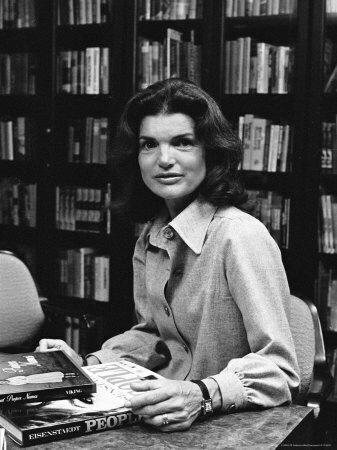 Jackie didn’t blink. 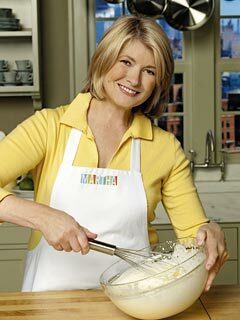 “But doesn’t everyone already know how to do that?” she said, as the assistant brought in … Martha Stewart. Well, it helped change my life a few years ago, when I realized I needed a Plan B, like the folks I blogged about Monday. I had decided to leave the newspaper industry. It was showing signs of the disaster that soon followed and, somehow, I saw the “iceberg dead ahead” a bit before many of my colleagues and started looking for a life raft (way too much of a scramble to be called Plan B). But when I began looking for another way to make a living, I was overwhelmed by bizspeak about “skill sets” and “project management” and “holistically synergizing teams and assets” — or whatever. One night with a friend, I was complaining – whining, maybe – that my skills as a writer, editor and manager were not transferable outside of a newsroom. That’s when my friend smiled and shook his head and told me the story about Jackie and Martha. And then I understood. Maybe my skills and experience were, indeed, special. Maybe I could be of use to a different kind of organization. Armed with this fresh perspective, I continued networking and eventually found a new place to work in corporate communications, where I felt appreciated and was nurtured in my transition into the business world, so different from the frat-house culture of newsrooms. I tell that story a lot when I hear people with career troubles in any industry. Hang in there. Forget the nonsense you were told. Not everybody knows how to do what you do. This entry was posted in Atlanta, Business Comms, Social Media and tagged business, careers, Facebook, Jackie Onassis, Martha Stewart, newspapers, reinvention on August 12, 2014 by Jay Croft. But I never believed him. And now, in the years after the Internet revolution the economic recession, we have proof all around us — so many Americans having to reinvent themselves to keep their careers going, find a new one or just make a living. This topic of re-creating yourself has been on my mind a lot lately, whether you call it a second act, a Plan B or self-invention. If we all write the story of our lives, then sometimes we have to turn a page, right? Russ Kendall, a photojournalist of many years, left newspapers 18 months ago to run a pizza restaurant in Washington State. Russ and I worked together in Alaska in the early ‘90s. I left the business seven years ago. Since then, more than 54,000 jobs have been lost in the industry. 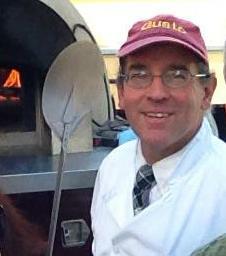 Russ Kendall of Gusto Wood Fired Pizza in Bellingham, Wash. This summer, Russ started a Facebook group for ex-newspaper people, or those who might soon be ex-newspaper people. He calls it What’s Your Plan B and it has 1,300 members. Many have shared their stories of despair and inspiration. “This group is designed not so much to share the horror stories we all have but more to help each other to move forward with a successful Plan B,” Russ says. The mother of reinvention, Madonna, had other ideas. Here’s the poster from her Re-Invention Tour. Every day on Facebook, I see other former journalists going to law school or getting MBAs. But it’s not just the news business that got the rug pulled out from under it. And some people choose to change their lives for reasons that are more personal than the struggles of an industry alone. I know a doctor who left his practice, went back to school in his 50s to get another advanced degree – and then changed cities and career focus. He’s still a doctor, but in an entirely different field. He wanted to make a big change for the remaining chapters of his career and took empowering, successful steps to do it. He and I were having dinner at a Japanese restaurant in Atlanta recently. The waiter, clearly 40-ish, joked that he was a college sophomore, so we asked him about that. He said he’s going to nursing school so he can help people and have a new, more rewarding career. Another friend used to be a high-flying chef in New York City, back when he was wild and single. Now a happily married dad of three in an Atlanta suburb, he runs a family travel business with his wife. Side jobs cooking and teaching give him an outlet for his passion and skill in the kitchen. “Major life changes are never easy, because your instincts and the urgent matters of the day work against you. But when you learn to focus on your future self, you’ll be surprised at what you can achieve,” says a Psychology Today article. 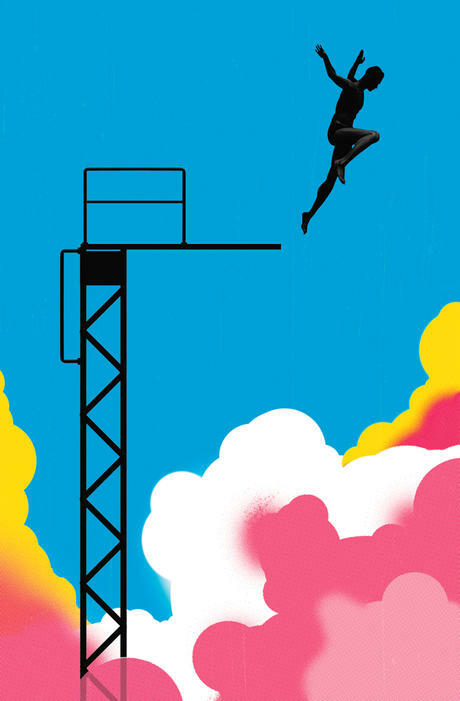 From The Harvard Business Review: How to Reinvent Yourself After 50. From techcrunch.com: The Ultimate Cheat Sheet for Reinventing Yourself. “Are you serious about transformation? I’m not talking about polishing yourself, improving yourself, making things a bit better. I’m talking about the reset button—a reinvention that changes the game. That means an overhaul in what you believe and how you do your job. If you’re up for that, then right here, right now, you can start. How? Do work that matters.” From a success.com piece headlined Ways to Reinvent Yourself. From More magazine: 10 Things to Know Before You Change Your Life. From Forbes: Five Steps to Reinventing Yourself Professionally. Share your experiences through the link at the top. This entry was posted in Atlanta, Business Comms, Social Media and tagged careers, Facebook, newspapers, re-invention on August 11, 2014 by Jay Croft.